Das Liebesverbot was Wagner's second opera, although the first to be performed. Based loosely on Shakespeare's Measure for Measure, it showed him trying to use current French and Italian opera styles but its performance in Magdeburg in March 1836 was a total fiasco and he abandoned it. 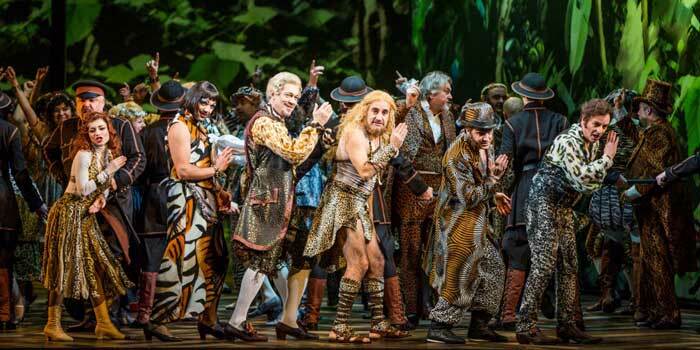 There have been few productions since but the prospect of the Wagner bicentenary in 2013 stirred Leipzig, his birthplace, Bayreuth (although not the Festspielhaus, who still take note of Wagner's repudiation of his early operas) and Trieste into a joint production. 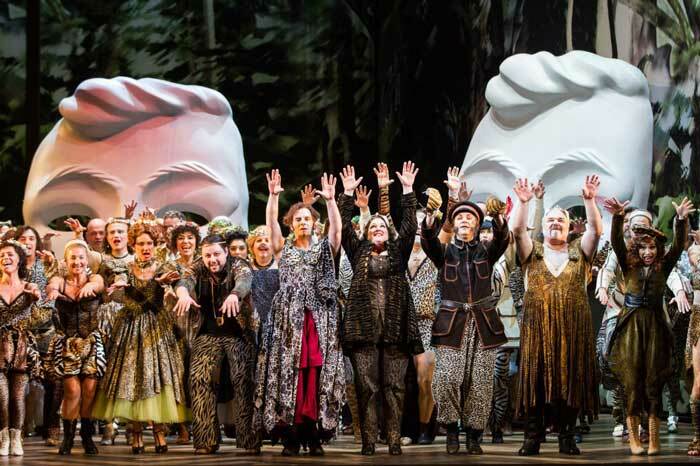 Bill Fawcett saw the production in Leipzig but the photographs are from the production at the Fondazione Teatro Lirico "Giuseppe Verdi" Trieste, (December 18, 2014 - January 8, 2015). 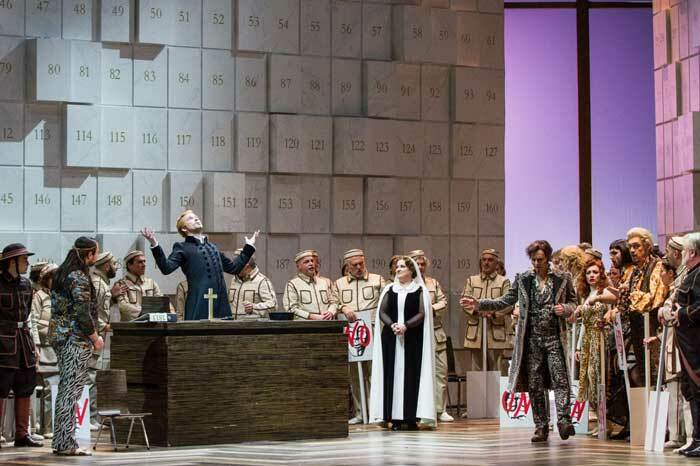 Wagner’s second opera Das Liebesverbot (The Love Ban, subtitled The Novice of Palermo) was revived for his bicentenary year, 2013. The first public outing of the new production was at Bayreuth in July 2013, at the Oberfrankenhalle, a sports hall, before moving to Leipzig in October and making a couple of further appearances there this year. 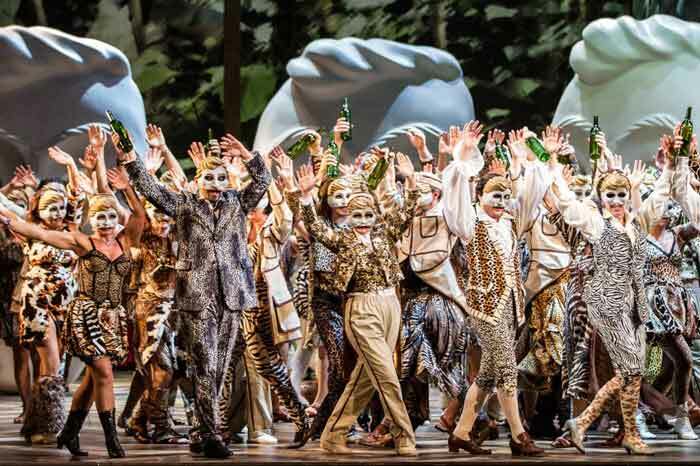 All these performances utilised the Leipzig Opera chorus and Gewandhaus orchestra. Towards the end of the year the production moved to Trieste employing the chorus and orchestra of the Teatro Verdi opera house. This was Trieste’s first experience of the piece and evidently one which went down well. Das Liebesverbot is set amidst the Sicilian Carnival, which proceeds under the shadow of the ban on ‘free love’ imposed by the German moralist, Friedrich, who is standing in as viceroy while the king is away. The action hinges round the novice nun Isabella (one of the minor nobility), whose brother Claudio is sentenced to death for contravening the ban. Friedrich’s ban is in part a response to his own lustful feelings, which come to light when Isabella offers herself as the price for Claudio’s release. The tables are turned by the revelation that her close friend and fellow-nun, Mariana, is actually Friedrich’s abandoned wife. Isabella, a modest prototype for Wagner’s later idealised heroic women, gets the crowd to forgive Friedrich while the king returns and Carnival proceeds as it should. Claudio’s friend Luzio is the only male hero, and earns Isabella’s acceptance of his love. Jürgen Kirner’s set was devised to handle the different situations of the opera house and the Bayreuth Oberfrankenhalle, basically comprising three movable walls which can open out to accommodate a crowd or focus in on a more intimate space. The chief background motifs are a regiment of numbered box files, representing Friedrich’s bureaucratic world, and a lush forest, symbolising the free human spirit of Carnival time. These worked well. 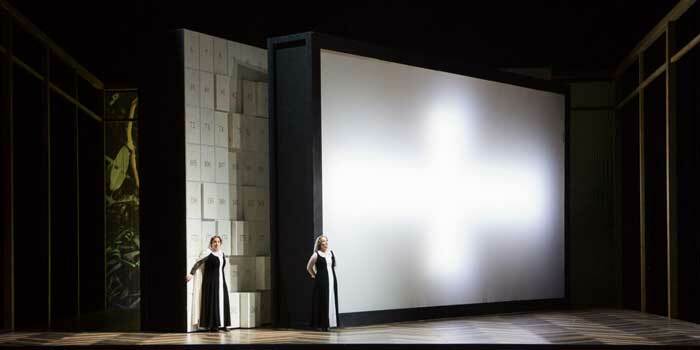 Bindseil looked back to a lost hippy world in his costumes for the bulk of the performers, including Claudio and Luzio, against which the sober dress of Friedrich and the two nuns made an effective contrast. However, this weakened the visual identity of Claudio, in particular, in a way which perhaps underlined his weakness of character but didn’t really help the action. Aron Stiehls’ direction at most times struck a good balance between the comic and potentially tragic episodes of the opera (the latter notably the exchanges between Isabella and Mariana), although the burlesque role of the prison warder, Brighella, lurched towards modern performances of Die Fledermaus. A great virtue was that the production was worked out in its own right and didn’t apply a retrospective interpretation based on Wagner’s later work. 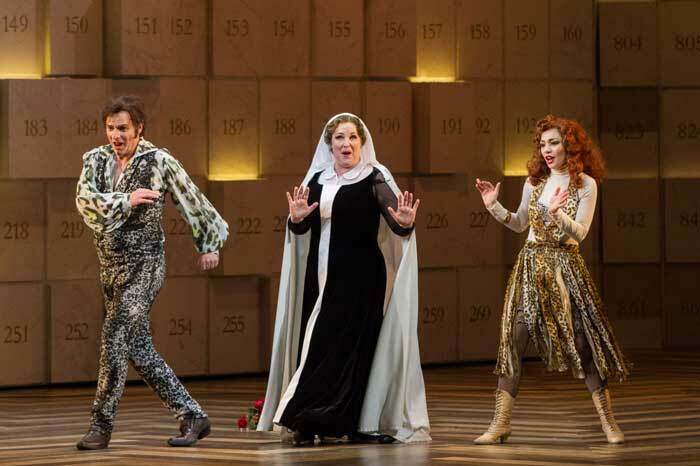 The key roles in the opera are really Isabella, Friedrich and Mariana; they have most of the exposure and (the two women in particular) carry the bulk of any emotional weight. Lydia Easley, Tuomas Pursio and Marika Schönberg pulled these off very well, and the cast and chorus generally produced an effective and enjoyable performance. The orchestral direction seemed a bit limp in a prolonged overture, compared with the classic Bayerische Staatsoper recording under Sawallisch, but then got going in a lively fashion. 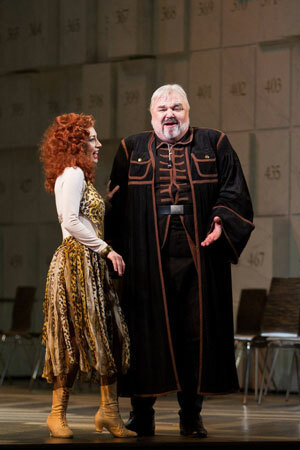 Along with Leipzig’s excellent production of Die Feen, also in 2013, this demonstrated that early Wagner, imaginatively handled, has the ability to entertain as well as inform. The opera will be performed at the Teatro Real, Madrid, February & March 2016, in a joint production with the Royal Opera House, Covent Garden, but no date yet for those performances.